Another hero already joined Overwatch collectors statues series. Just a few hours ago Blizzard has presented Overwatch Hanzo statue in the preorder at gear.blizzard.com. Movie and games fans collect lots of unique stuff from these universes. I have myself some collectibles like statues, funko pops or rare mousepads. Some people are buying them for fun and some see investment in that. 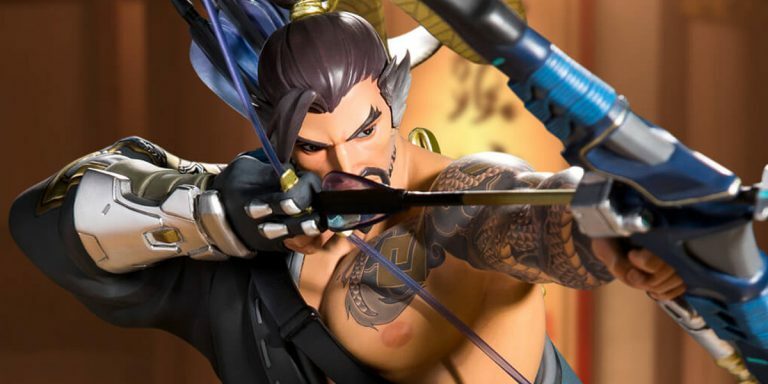 But no matter what, most Overwatch players should buy Hanzo statue, which is already on gear.blizzard.com. In my opinion, this statue looks insanely. I have at my home Reaper, Tracer, Genji and Soldier 76 statues already, and I can say that wasn’t a waste of money. They look so monumental and all of them hand painted! The statue above was created by 8 persons! But work of lots people ends up with huge cost 175$. But if you would like to buy this statue you can preorder it. As Blizzard stated, the statue will go to new owners before the end of 2018.